We[ b]link interactively animates patterns for storefront windows. 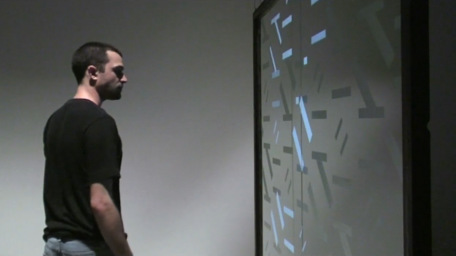 As a person walks by, patterns illuminate mimicking the detected movements, while still allowing view through the window. This experimental project was part of a reflection on new ways to animate storefront windows, catching the attention of passerby and giving the possibility of multi-city interactions.